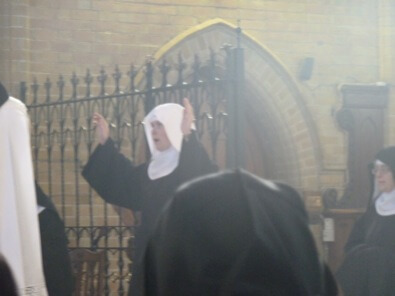 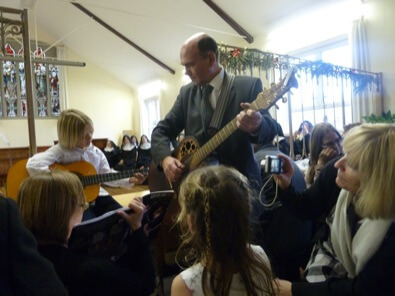 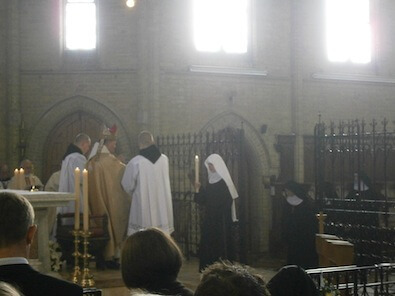 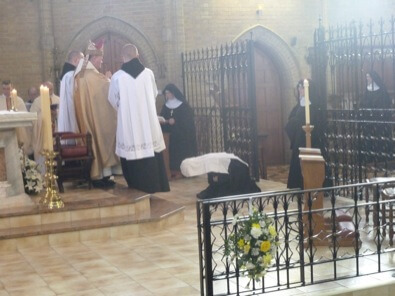 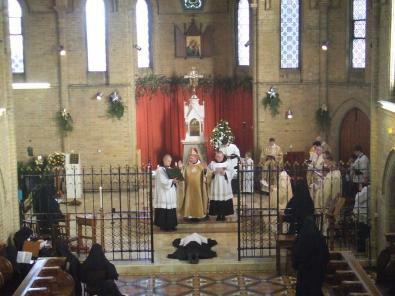 Five of the Fathers and many of our parishioners were able to go to St Cecilia's Abbey, Ryde, on the Isle of Wight, on Friday 6th January, Solemnity of the Epiphany, for the Solemn Profession and Consecration of Sister Elizabeth Burgess, formerly of this parish. 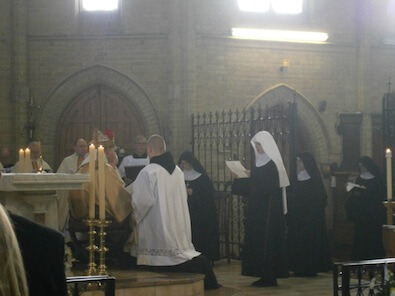 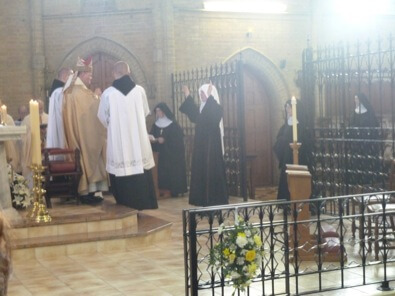 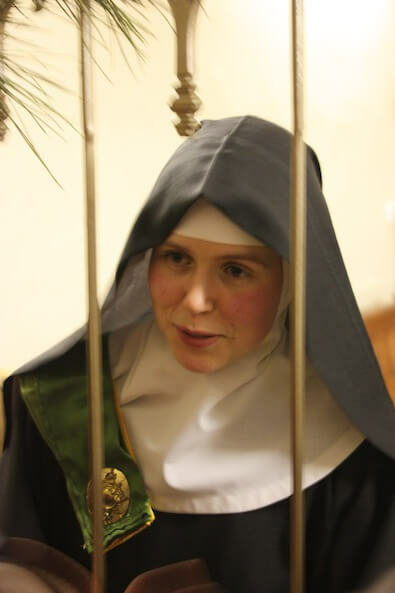 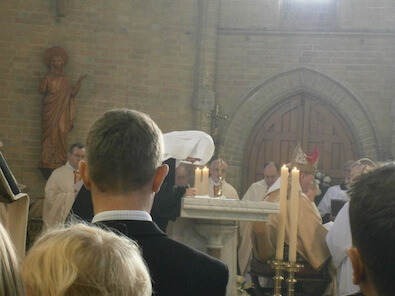 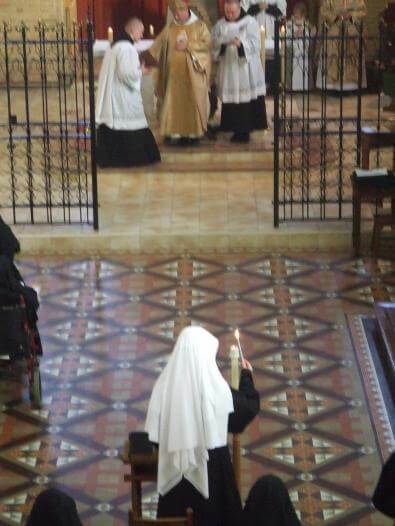 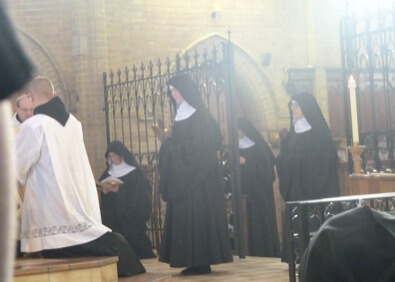 The ceremony was very beautiful, consisting of the Monastic Profession, the signing of the Profession Chart, the Investiture in the cowl, the Litany of the Saints, followed by the Consecration to Virginity, with the giving of the black veil, the Ring and the Book of the Divine Office. 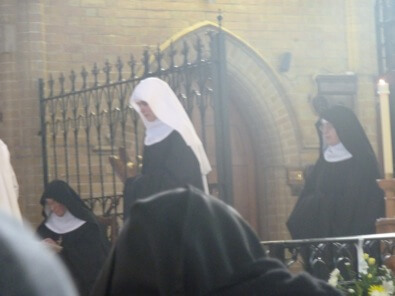 St Cecilia's is a Benedictine Monastery of the Solesmes Congregation, and carries out the whole of the Divine Office with Gregorian Chant.